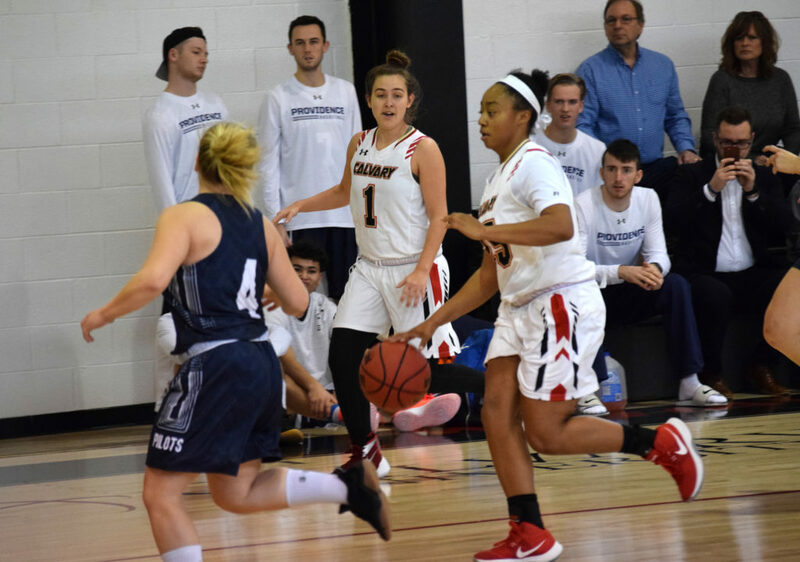 The Calvary University Women’s basketball team grabbed their 11th win of the season with a 69-56 victory over Ozark Christian College Tuesday night. The game was closely contested at the start with both teams exchanging leads in the first quarter. 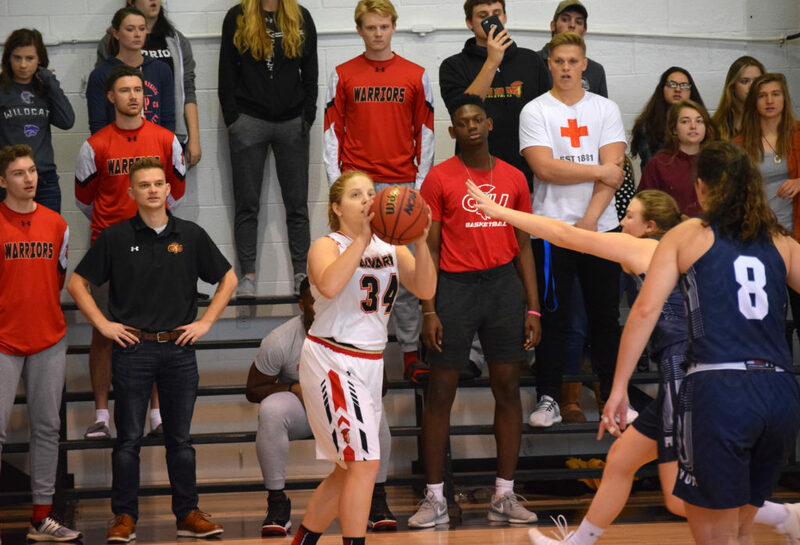 Calvary’s largest lead of the first half came at the five minute mark in the second quarter with the Lady Warriors leading by 12. By the end of the first half, Ozark had cut the lead down to 28-33 with some terrific offensive possessions.